If you want a career that is focused on improving the state of education and ensuring the future of students, you need a Principal resume that shows you have the skills and abilities to make a difference. We have prepared a Principal resume sample that will act as a guide whether you are planning to update your old one or create an entirely new one. Even wise Principals need help too! Address: 3223 W. Arthington Street, Archer Heights, Chicago, IL. Current Job: Principal; Lincoln Park High School, Chicago, IL. GAE recipient with a Master’s Degree in Education, I have more than 10 years experience working as a Principal in the state of Illinois in various capacities. I believe my experience, skills, competencies, passion and commitment to continuously improve our educational system for the benefit of our children will make me a great fit for Von Steuben High School. Recipient of General Administrative Endorsement (GAE); 2007. Master’s Degree in Education; Loyola University, Chicago, IL. Bachelor Degree in Education; Loyola University, Chicago, IL. 10+ years as Principal for high school and elementary level. Dedicated to ensuring the quality of education in the state of Illinois. Committed to helping the youth realize their true potential. Excellent planner, motivator and decision-maker. Lincoln High School; Chicago, IL. Prepares the school’s annual budget in consultation with the finance officer and establishes benchmarks for teachers and personnel to achieve. Periodically reviews, audits and inspects school’s facilities; classrooms, computers, canteens, restrooms, laboratories, athletic facilities and works to ensure these are upgraded, well-maintained, safe and fully functional. Meets with state officials and agencies involved in education to discuss plans on improving the content of the educational curriculum for the purpose of helping student become more competitive on the global level. Conducts periodic meetings or get-togethers with parents and school teachers to encourage close collaboration among educational stakeholders in improving the performance of students. Presides over the adjudication process; mediating discussions among concerned parties involved whenever teachers issue disciplinary actions that are disputed. Established and maintained a learning climate that is conducive for optimum student performance. Endeavoured to keep the superintendent informed of the school’s various activities, operations and engagements. Authored and maintained highest standards of student conduct and strictly adhered to due process when presiding our adjudication sessions. Reviewed and evaluated processes and frameworks of the school’s administration. Consciously navigated the political landscape of the school community while maintaining objectivity and focus on attaining top notch performance of students. Bloom Trail High School, Chicago, IL. Developed a building budget; directed and monitored the business and financial matters of the school. Managed and ensured that the building has adequate inventories of school property. Authored and administered the building’s school operational policies and procedures. Interpreted and enforced district school policies and all of its administrative guidelines. Performed duties as a liaison between the school and the community; encouraged participation of the community in school activities and vice versa. The ideal Principal skills list should read like a CEO’s: ability to negotiate, establish and administer policies, improve the performance of personnel, encourage a culture or productivity. Contrary to popular perception, the Principal isn’t “The Terror” of your school. He or she works hard to make sure students are able to thrive and consistently perform under the best conditions. Education. 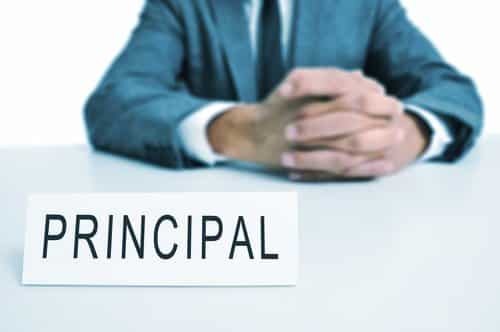 If you want to land the job of a high school Principal, a Bachelor degree may not be enough to be considered by the premiere schools. You should aim to have at least a Master’s Degree in Education. In fact some even work toward getting a doctorate degree in Education. Certification. Check with your state if the local government or educational agency requires certification. In our example of a resume for Principal, the candidate is from the state of Illinois which requires all principals to have a GAE or General Administrative Endorsement. Proficient in Budget Planning. As the Principal, one of your responsibilities is to prepare the school’s budget because you will be charged with funding the maintenance, upkeep and improvement of the school’s grounds, facilities and of course, programs and activities to keep the students progressive.The budget will also be used in personnel management: hiring, training, recruiting new teachers plus setting aside funds for career and succession planning. Great Interpersonal Skills. Managing a school is hard work. Not only are you responsible for the needs of the school but a greater, more important part of your job is getting the best out of your students.This is not a job that you can do on your own. You should have the ability to get all the stakeholders on-board: the teachers, parents, school officials and key people in education.Everyone has to work together and collaborate on addressing all issues that could hinder the forward progress of the students. Leadership Ability. “Leadership” is often spoken of as an attribute but few really know what it means or entails. For the Principal, leadership starts with having a sense of accountability.You should understand that you are responsible for the outcome of all decisions you make. If you can accept responsibility, you will have the confidence to make quick decisions and solutions should outcomes prove contrary to expectations. The best way to write your Principal resume objective is to take the direct approach. After all, principals are expected to be quick decision-makers and very straightforward in conduct and execution. You can see from our sample resume objective for Principal that we made it as direct as possible. We started out the objective statement with the fact that Bernard has a GAE certification which automatically moves him ahead of others who don’t have it. We followed it up with Bernard completing a Master’s Degree in Education. These two qualifications could move Bernard head and shoulders above the competition. Then we banked on his extensive 10 plus years experience as a Principal. As a Principal, you can never have too much experience. Having more years under your belt will always be a big advantage. Finally, Bernard shares his strongest attributes which he feels makes him right-fit for Von Steuben High School: experience, expertise, competencies, passion and commitment. Experience is the name of the game and you have to showcase this in your application. This is the reason why you should use the reverse chronological for your Principal resume format. The reverse chronological is the process of writing your experience starting from the latest or current employment then moving back. The purpose of this type of format is to highlight career growth and to effective show differentiation in job description. Education is likewise presented in reverse chronological format. In our sample resume for Principal, we started Bernard’s educational attainment with the Master’s Degree in Education. With an entry level Principal resume, you will be at a disadvantage with a lack of experience. But don’t give up. You can still get hired as a Principal if you focus on your skills and transferable experience. Instead of the reverse chronological, you should use the Combination format which will give you the opportunity to highlight your relevant skills and explain the lack of experience. Use the objective statement to inform the Hiring Manager why you decided to become a Principal. You could use 1-2 sentences to state experiences that made you switch careers. If you have strong qualifications like having a state required certification or a Master’s degree, indicate it in your objective statement, strengths and certifications. It’s not redundant; you are just emphasizing the fact that you are qualified to become a Principal. Capitalize on the Strengths Section – If you’ve stated your strongest qualifications in the objective statement, don’t stop there. List them again in your Strengths section. Make sure the Hiring Manager knows for sure you have the requisite skills to be their Principal. Differentiate Your Job Description – Take a look again at our job description for Principal sample resume. 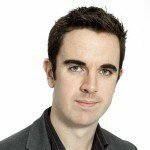 There are only 5 bullet points per work experience but these are written in great detail. Differentiate your job description to show the person reviewing the resume that you know your scope of work very well. Check for Grammatical and Spelling Errors – Simply inexcusable for the head of an educational institution to have errors in grammar and spelling. Take the time to prepare your application. Review our Principal resume sample as often as you like to make sure you have all the bases covered. If this Principal resume example wasn’t sufficient for you, you are free to review some other samples and templates from our site. Browse to some related resumes below and find your inspiration.